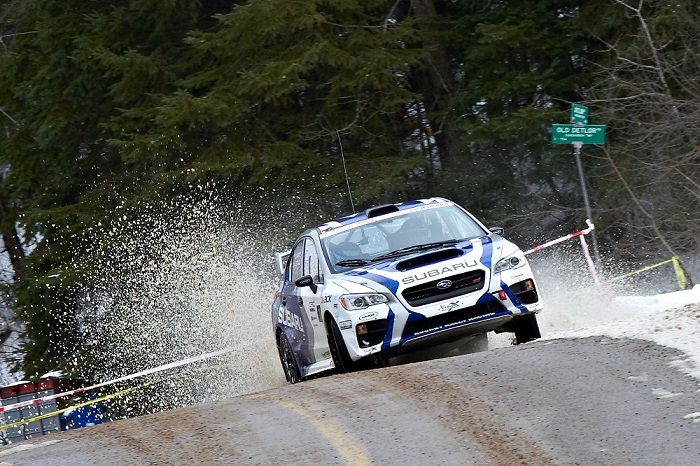 Subaru Canada, Inc. (SCI) is pleased to announce that once again Subaru Rally Team Canada (SRTC) driver Antoine L'Estage and co-driver Darren Garrod have claimed top spot on the podium. The team took first place at the Rally of the Tall Pines in Bancroft, ON by a margin of over three minutes, also taking the lead for the Driver's Championship with one race left in the season. The team bested some tough competition, including Travis Pastrana and Robbie Durant of Subaru Rally Team USA, who finished in second place in their Tall Pines debut. Rounding out the top three were Simon Vincent and co-driver Hubert Gaudreau. "We came here with the goal of getting back into the lead of the Canadian Championship, but with Travis here I knew it was going to be very strong competition," said L'Estage. "At the end to win the rally, and beat these guys is just perfect." 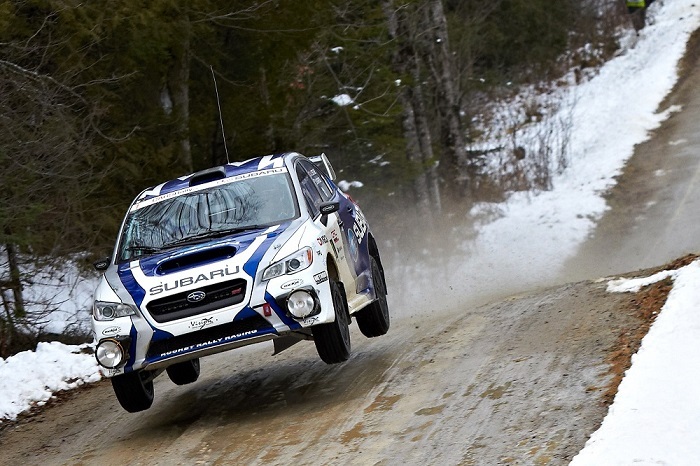 Rally of the Tall Pines was a prolific event for multiple Subaru teams, with a total of seven vehicles finishing in the top ten, including a top five sweep. With only one race left in the season, Subaru now holds an insurmountable lead in the race for the Manufacturer's Title, and has a clear path to a record-setting twelfth victory. The final race of the 2016 season will be Big White Rally in Kelowna, BC December 10-11. Big White is a new addition to the series, with a reputation for challenging winter conditions.